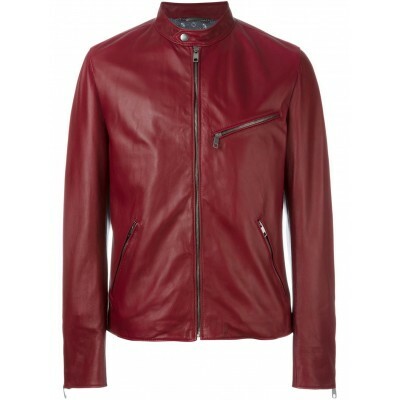 Ladies jacket made with brando style with washed and waxed Burgundy sheep leather. 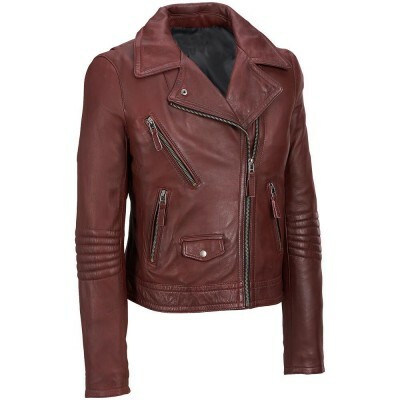 Jacket lined with the quilting 100 grams with attach..
Burgundy jacket made with very high quality Genuine sheep leather with front five zippers with middle fastening zip and three front zipper pocke.. Shell:Sheep LeatherBoning:Steel Spiral Lining: Breathable Denim.. Shell:SilkBoning:Steel Spiral Lining: Breathable Denim..